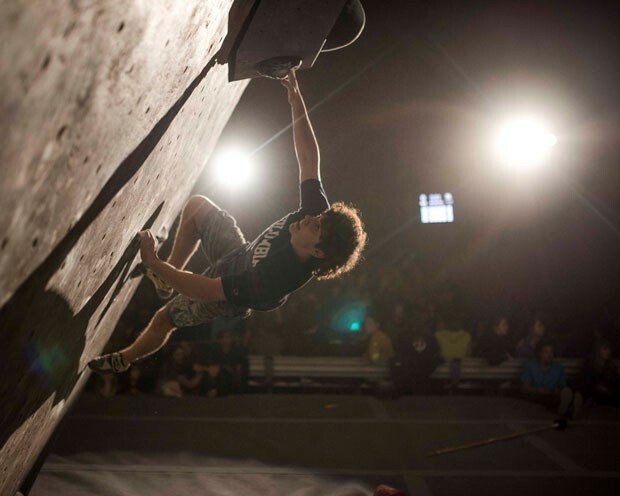 Competitors will literally be climbing the walls as the Deschutes County Fair & Expo Center hosts the USA Climbing Bouldering National Championship during the first two weekends in February. The event will feature many elite climbing athletes competing for spots on the U.S. National Team and U.S. Youth National Team in the discipline of bouldering. Event dates for the Open National Championship are Feb. 1 to 2, and Feb. 8 to 10 for the USA Climbing Youth National Championship. Skylar Smith (L) and Nekaia Sanders (R) boulder on. 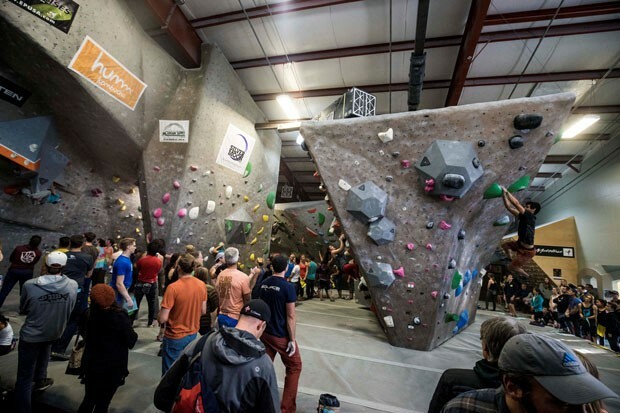 "In the context of competition climbing, this is the Super Bowl," said Rich Breuner, Bend Rock Gym director of operations. "Some of the best route setters in the U.S. are coming here to set routes that will test the abilities of some of the best boulderers in the country on all aspects of climbing: technical, strength, power, athleticism and gymnastics—all of the different movements that defines what we climb." Bouldering is climbing simplified: no ropes, no hardware—just a chalk bag and bouldering mat to cushion a fall—where each hold or bouldering "problem" can test the limits of any climber. Falls are usually short and cushioned by mats. The Open competition is a registered event but will feature some of the best boulderers in the U.S. During the competition, each climber in the Open Championship climbs four or five boulder problems, with four or five minutes to attempt each boulder and a short rest in between. The number of boulders and the time allotted depend upon the rounds, whether it's a qualifying, semi-final or final round. 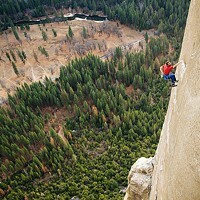 Unlike the hushed tones on a golf course, climbers feed off the interactive energy of a crowd cheering them on. 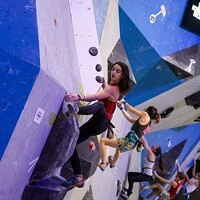 "The stadium-like seating in the Convention Center bodes very well for spectators to get loud for these climbers, cheer them on and watch our next male and female national champions get crowned," said Breuner. The Youth Championship is invitation-only and will mostly follow a similar format to the Open Championship. The final round will feature the top 10 competitors and any special cases from the semi-final round. 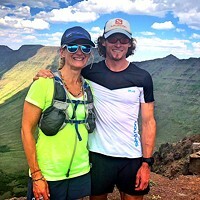 "We have five kids from our team that qualified for the national championships," said Mike Rougeux, climbing director at Bend Endurance Academy. 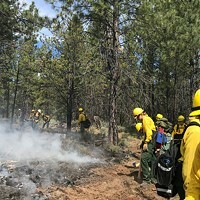 Owen Jenkins (Male Jr.), Hamish Reinhart (Male Youth B), Mira Capicchioni (Female Youth B), Nathaniel Perullo (Male Youth D), and Shae McCarl (Female Youth D) will represent Central Oregon in various categories in the Youth competition. In addition to the championships, Bend Rock Gym is partnering with USA Climbing to host the Bend Boulder Bash as a kickoff event. 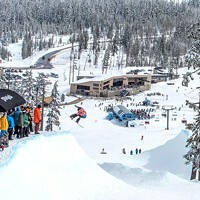 The Boulder Bash takes place after the Friday Open qualifying round, on Feb. 1, starting at 3 pm. The competition is open to all, with a Recreational division for youth climbers new to the sport. "It will be cool because these newer climbers can compete on the same problems as the Open category climbers, getting a fun chance to test their skills and get introduced to competition climbing," said Breuner. 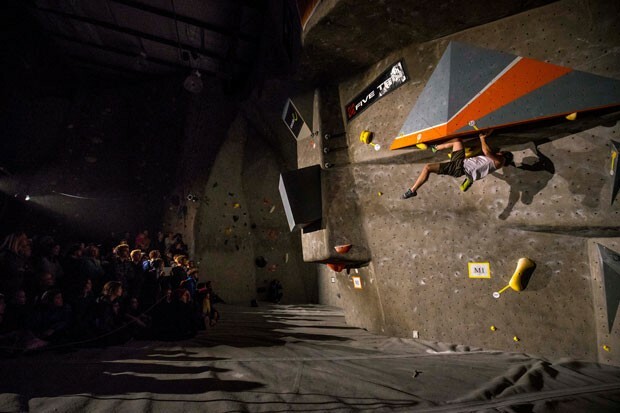 What started as a local event has evolved into a regional competition with climbers coming from all over the Northwest to compete. Climbing has grown exponentially in the U.S. over the past five to 10 years. "We conduct climbing camps with some of the youth climber competitors in the summer, and it's cool that these kids especially want to travel and meet other climbers," said Jim Abalo, owner of Chockstone Climbing, a guide service based in Bend. "Some of those kids are from places where there's just not much climbing or much of a climbing community, so coming to nationals or a place where there is a lot of climbing is really a great opportunity and a big deal." So big that the stakes are making the U.S. National Teams—with an eye toward the 2020 Summer Olympics in Tokyo, Japan. 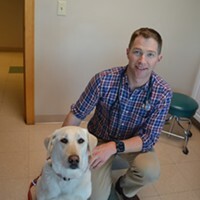 Fri., Feb. 1, 1:30 p.m. to 10 p.m.